We create targeted, scalable campaigns designed to be optimized quickly and maximize campaign ROI. Our ongoing optimization techniques continuously improve performance and scale success. We develop tracking strategies to gain insights on UX and website performance. Then, we pour through the data to reveal strengths, weaknesses, and opportunities to improve conversion funnels. From research and planning to strategy execution, we build clients an effective SEO campaign based on their goals, budget, and competition. The result?  A custom execution strategy that maximizes long-term ROI. Our process involves identifying conversion bottlenecks, developing alternatives, and executing performance tests. Ultimately, successful CRO efforts increase the ROI of every acquisition channel. We create paid social campaigns that test everything from demographics and interests to ad copy and images. Our data-driven approach to organic social enables us to post effective content at ideal times.